using the exhaust steam and so gaining more efficiency before being condensed and recycled. Bauer-Wach Exhaust turbine was widely known as the Bauer-Wach-Exhaust turbine to 1926 by Prof. Gustav Bauer and Dr.-Ing. Hans Wach had developed at the Tecklenborgwerft in Bremerhaven. 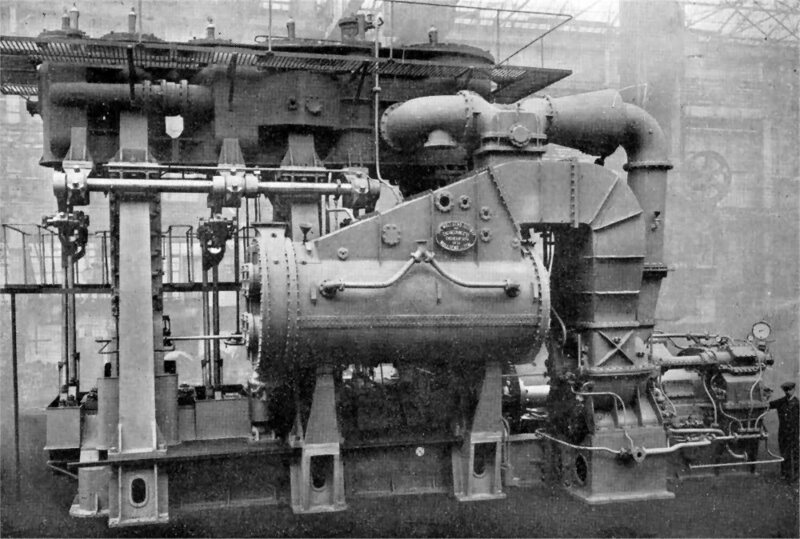 Following the closure of the shipyard BW Ex-haust turbines are included with a transmission and clutch from 1928 by the AG Weser Deschimag mainly with over 900 co-pies sold a-round the world in shipbuilding. At a normal system, the steam flows out of the low-pressure by a changeover valve in the Exhaust turbine and drives it. By a reduction gear and a fluid coupling (System Föttinger) the performance of the turbine wheels is transmitted directly to the propeller shaft. The engine power can increase at up to about 10% to reduced in line with the same driving po-wer of the fuel consumption. For backward maneuvering or reverse operating the system is put out by the changeover valve and is located such that the exhaust steam passes directly into the condenser. The fluid coupling is emptied and thus the turbine is decoupled from the drive. 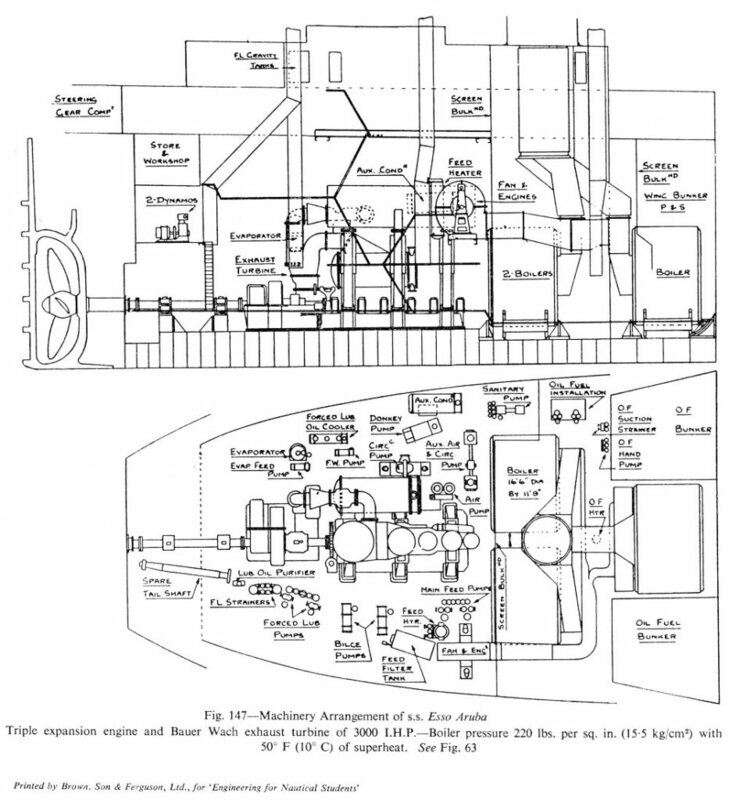 Drawing Machinery Arrangement Esso Aruba.